Report finds that rioters were granted packages containing food, drink - and a special note of encouragement from Ayatollah Khamenei. 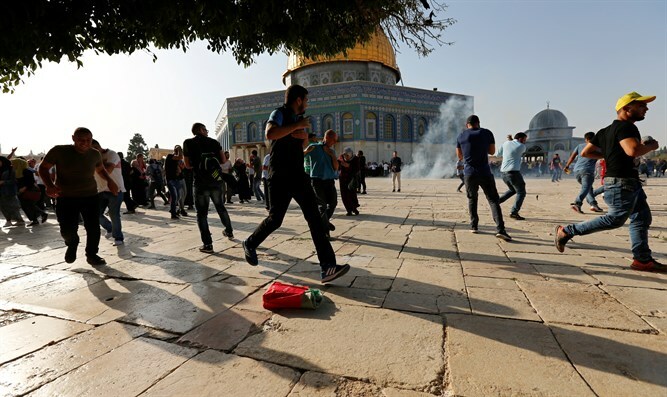 Iran directly encouraged recent Arab riots in the Old City of Jerusalem by distributing food packages with notes of encouragement to rioters, Israel Hayom reported. Another PA intelligence official told Israel Hayom that PA security forces had been aware of the Iranian plan, but had not notified Israeli security due to the freeze in security cooperation PA Chairman Abbas had instituted in the wake of the Temple Mount crisis. Nevertheless, senior PA leaders close to Abbas expressed anger at the Iranian attempt to establish an image as caregiver for the Palestinian Arabs.